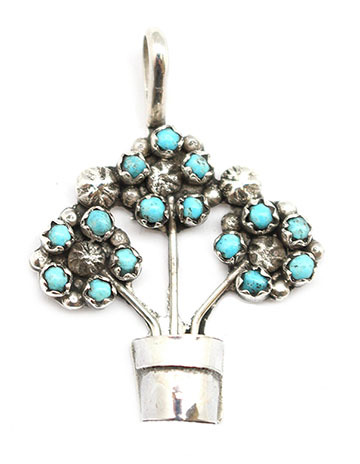 This pendant is made with sterling silver and turquoise hand cut dots to make this 3 flower in a pot design. It measures approximately 1 1/4" long including bail by 7/8" wide at widest. It is Zuni hand made by Camilio Martinez. Stones will vary in size and color shade.